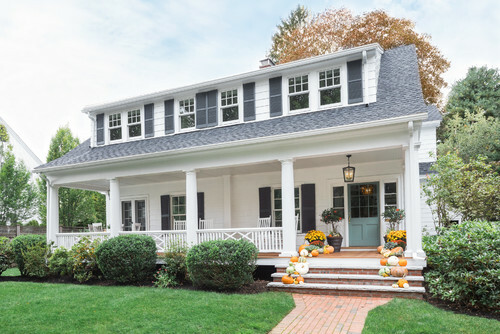 This 1915 Dutch Colonial in Winchester, MA had a welcoming front porch and some charming original details, but the layout on both floors wasn’t functioning well for the young family. 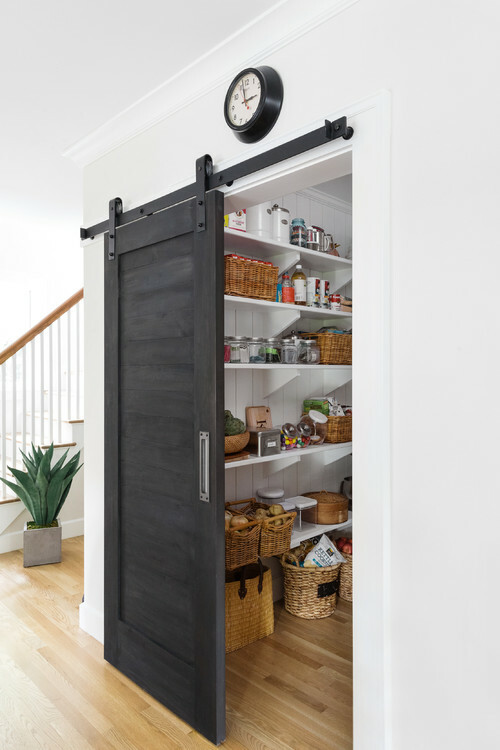 The homeowners wanted a larger kitchen with plenty of pantry storage, a dedicated mudroom with closet space, and a new master bathroom and closet overlooking the backyard. 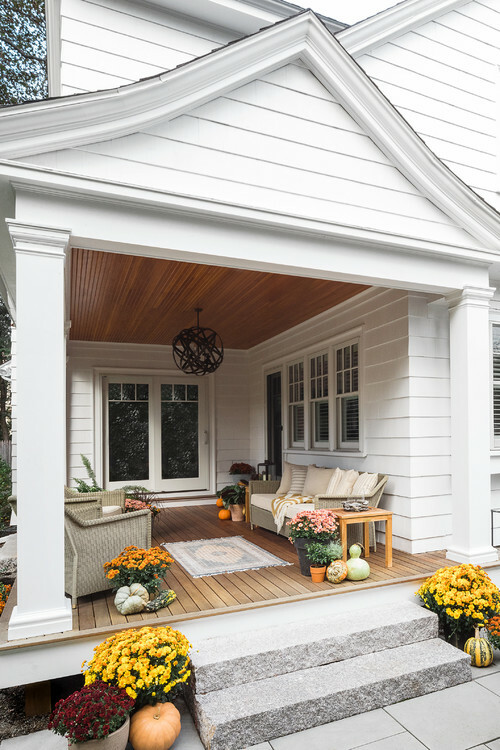 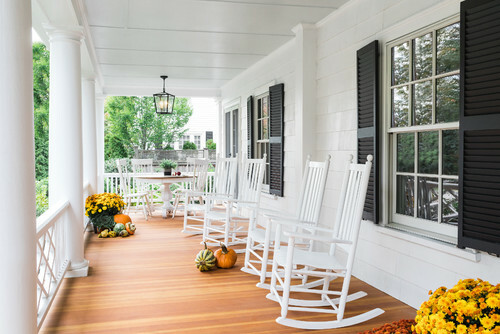 Cummings Architects reworked the layout to provide the new rooms the homeowner desired, while also remodeling exterior details like the front porch, new back porch, and roof details. 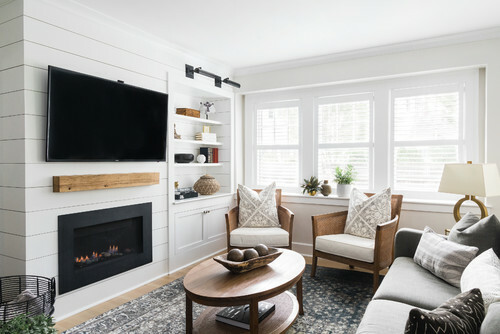 The team designed many new cabinetry, trim, and built-ins, including an elegant white kitchen with inset cabinetry and Danby marble countertops, a new gas fireplace in the family room with ship lap walls and bookcase, and custom walk-in closet. 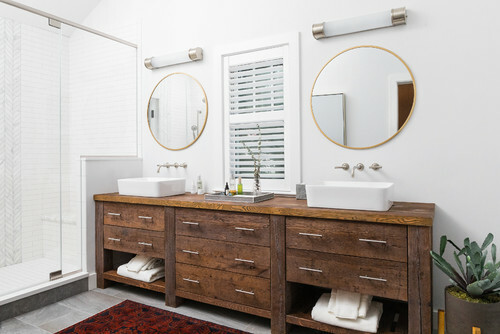 The master bathroom features a bespoke reclaimed wood vanity and Calacatta marble accent tile wall. 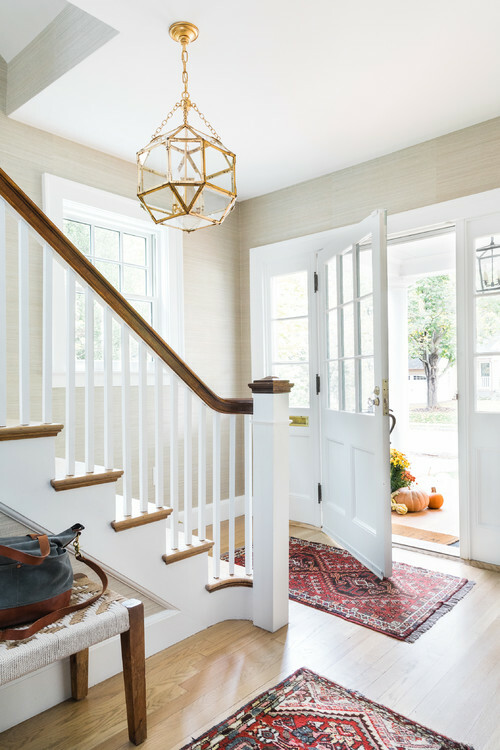 Throughout the home, interior finishes and fixtures were replaced to embody a clean, bright, and cool aesthetic, a mix of traditional and modern that works well with the graceful exterior. 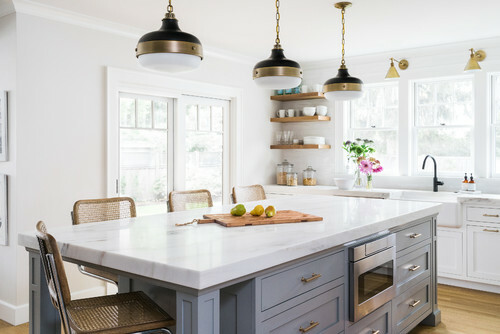 The tile is the Barcela cement tile from Marble Systems. 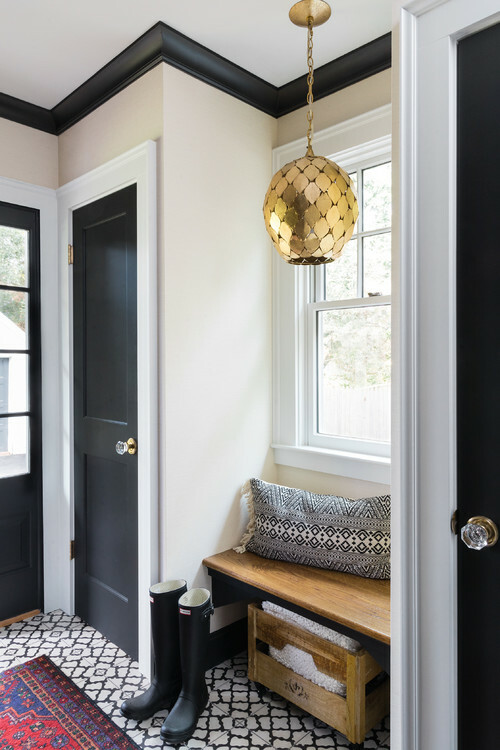 Light fixture is from Arteriors…it’s the Osgood Pendant. 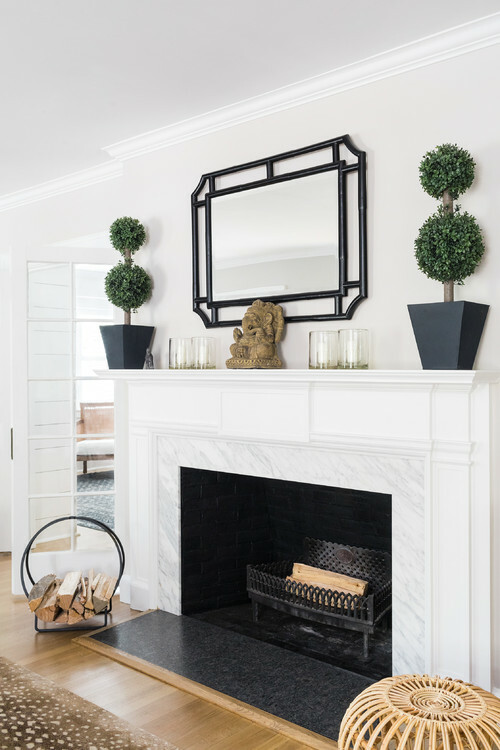 The walls are Classic Gray and the trim is Super White, both from Benjamin Moore. 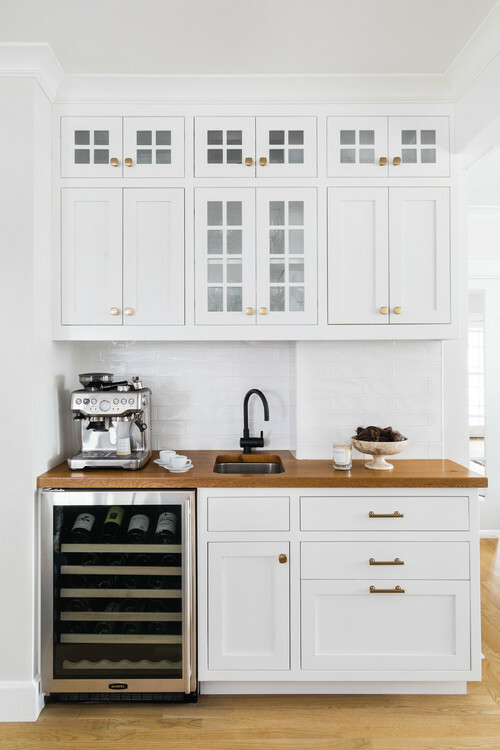 The cabinet maker layered different Minwax stains on samples for us to choose from- it was a mix!